* An introduction to Varisia, the frontier region that serves as the setting for Rise of the Runelords, and a brief exploration of your PCs' new hometown of Sandpoint. * Notes on how humans, elves, dwarves, gnomes, halflings, half-elves, and half-orcs exist in Varisia. * Details on what roles each character class can expect to fill in Rise of the Runelords, including suggestions for animal companions and familiars, favoured enemies, character backgrounds, and more. 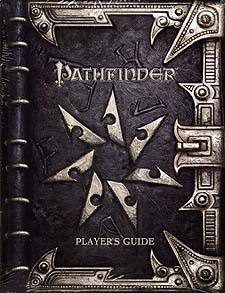 * Domains and more for twenty new deities comprising the core pantheon of the Pathfinder Chronicles Campiagn Setting. * New weapons, armour,and equipment. * New feats to give your PCs a distinct Varisian feel. * Full-colour maps of Varisia and Sandpoint.